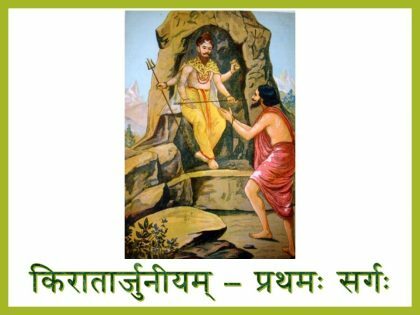 Kirātārjunīyam is one of the five great poems of Samskrita Literature – the पञ्च-महाकाव्यs. 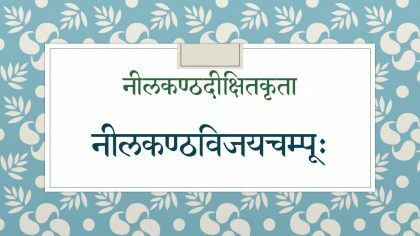 Bhaaravi, author of this poem, is famous for the depth of meaning (अर्थ-गौरवम्) and this poem is prescribed for study in the syllabus of many Sanskrit exams at the graduate level. The poem has eighteen cantos (sarga-s), and the first sarga is one of the most popular portions of the poem. Here, a spy sent by Yudhishthira returns and reports the excellence of Duryodhana in ruling the kingdom and looking after the subjects. trying to win them over by the time the Pandavas return. After his departure, Draupadi tries to incite Yudhishthira to declare war with the Kauravas, by describing the pathetic state that the Pandavas are currently in, and Yudhishthira’s foolishness in sticking to an agreement with foes who have no moral standards. 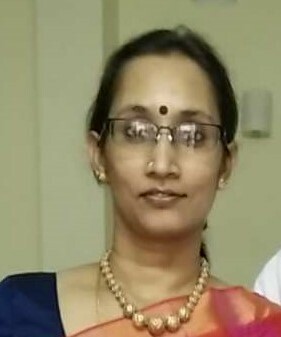 In these audio lectures, Ms. Visalakshi Sankaran, explains the meaning of the shlokas of the first sarga in lucid Tamil, emphasising the aptness of expressions of the poet. She also points out the alankaras and other poetic devices used by the poet. 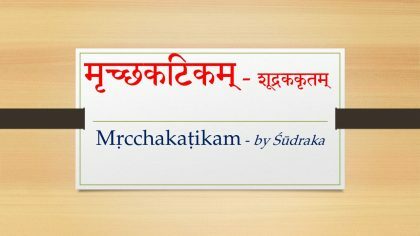 These lectures will be very useful for students preparing for any examination based on this portion of the poem, for gaining an apt understanding of all the basic aspects of the shlokas.